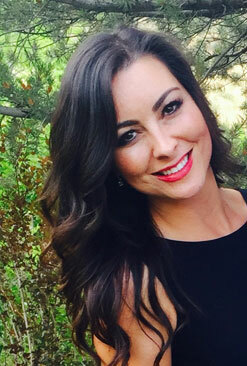 Colorado born and raised, Stephanie grew up in the striking Rocky Mountains loving the great outdoors and spending her free time as an equestrian with her family’s quarter horses. After pursuing her education in business, she moved to Tampa, FL in 2007 and immediately fell in love with the growing city. From mountains to beaches, she continued her appetite of the great outdoors with fishing, kayaking and everything the gulf coast had to offer (including the warm winter temperatures!). A tomboy at heart, Stephanie is a loyal fan of the Tampa Bay Lightning, the Tampa Bay Rays and, of course, the Denver Broncos (growing up in Colorado in the Elway era, who wouldn’t be?). Her inner entrepreneur flourished in 2008 when Stephanie joined a litigation support company and took to leadership like second nature. She escalated to owner in 2012 and has been ambitiously growing her company, Anthem Reporting, ever since with her esteemed business partner, Kevin Branagan. Anthem Reporting is a leading nationwide firm that provides court reporters, videographers, interpreters and conference rooms to attorneys across the U.S. I would like to write a message. Write the amount ($) you would like to donate in the box above. © 2018 Westchase Foundation. All right reserved.